Earth, the new restaurant by noted New Jersey chef Anthony Lo Pinto, formerly with Fortunato's, where he garnered a very good from David Corocoran of the New York Times. We dined with some of our Slow Food friends, Margret Noon, Penny Potenz-Winship and Ed and Marie La Duca. 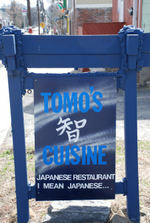 Aside from a few service mishaps which I am sure will be worked out in time we had a very nice dinner. In a funky odd building on Route 23 in Little Falls you step in and feel as if you have been beamed to a sushi shop in Kyoto. As group after group of Japanese patrons arrive the illusion is confirmed. Lillet - A drink you will love. Lillet is favorite French aperitif that is delicious alone, on the rocks and in cocktails. It has always been a favorite of mine and I was surprised to learn that many people are not familiar with this wonderful drink. It is produced in a blanc and a rouge. I passed by Piquant a few weeks ago while in New Brunswick on business. The tight entrance on a somewhat dreary section of George Street only lead me to think it might be a good place for lunch. This past Sunday, at a Slow Food NNJ lunch event, I learned that Kirti Rahi's Piquant is so much more. Piquant is a fabulous Neo-Indian cuisine restaurant that is filled with surprises. 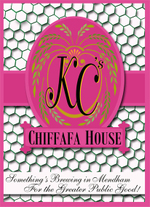 Dined at KC's Chiffafa House in Mendham, NJ with friends Marc and Gail. KC who is also the proprietor of KC's Coffee place in Chester, N.J.has done a wonderful job in this venture with Paul Viggiano, Dan Baker and Mischa Camaniti who work creative wonders in the kitchen. Serving coffee, bouchon, pastries, ice cream and treats during the day. KC's becomes a fabulous restaurant and jazz place Thursday, Friday and Saturday nights. Oh yes they serve up an amazing Sunday brunch menu as well. Diana and I dashed into New York for a little fun. Italian Wine Bar, French Bistro, Spanish movie. Short of flying somewhere warm it just does not get any better than this. Dropped our son, Pierce, off at a kid's party he was attending on West 26th street, parked the car and started wandering. First stop Veloce Wine Bar. Joy Weinberg, managing editor of Reform Judaism magazine wrote to let us know about an event you may like to attend. " Top 50 Kosher Wines at the RJ Wine Guide Launch Event" Thursday, March 15, 2007, 7-9pm, at the Hebrew Union College-Jewish Institute of Religion, 1 West 4th Street, New York. With Passover less than a month away the timing is perfect. To attend, reservations are required, call the Wine Event RSVP hot-line: 212-650-4243. by this coming Tuesday, March 6.